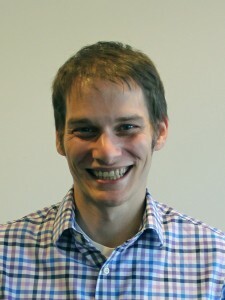 Dr. Patrick Janulis, assistant professor of Medical Social Sciences and associate director of the CONNECT Research Program within ISGMH, has been awarded a new two-year NIH R21 grant by the National Library of Medicine and Office of Behavioral and Social Sciences Research (R21 LM012578). This project builds off of Dr. Janulis and his collaborators’ prior efforts in making network data more useable for public health researchers. Specifically, this work will both improve and simplify the process by which researchers can match and deduplicate individuals who are named across multiple network interviews. By employing modern machine learning approaches to leverage both structural (i.e., network) and attribute (i.e., names and demographics) data, matching accuracy will be improved, while the burden on human coders will be reduced. This grant expands upon work conducted in two previous ISGMH projects. First, the RADAR project will serve as a resource to validate the machine learning approach on a real world dataset. Second, this approach will be embedded into the Network Canvas software suite and accessible via a graphical user interface, thereby allowing a streamlined process from network data collection, to de-duplication, to data analysis. Co-Investigators on the project include Drs. Michelle Birkett and Gregory Phillips, also of Medical Social Sciences and ISGMH, and​​ Dr. Lise Getoor, Professor of Computer Science at the University of California Santa Cruz. This entry was posted in CONNECT Program, News. Bookmark the permalink.